One of the most frequently asked questions asked of Tactile Media is, “When are you going to make a set of controls for Android?” Today is a first step toward that goal. Instead of taking months to develop an entire control set, I'm starting with one of the more important controls: Material Design buttons with Google’s “ripple” effect. Ripple feedback is a key characteristic of the Material Design user experience. The Material Button theme contains 34 pre-colorized buttons total, divided into Action buttons and standard buttons. The buttons can be resized, recolored, radiused, and can display icons applied using the tmControl Icon Library. Existing tmControl customers can purchase the tmControl2 Material Button theme for just $9! 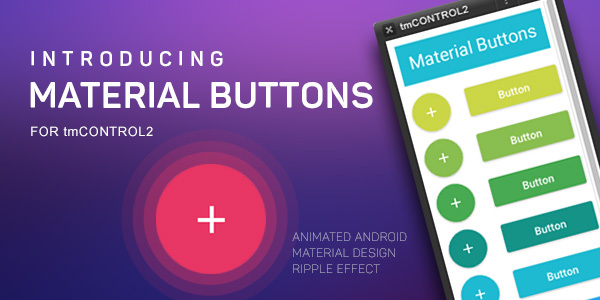 For developers who don't already own tmControl2, a mini-bundle is available that includes the tmControl2 plugin, Material Design Buttons theme, Icon Library stack with 4000+ assets, and Blur external with demo stack. 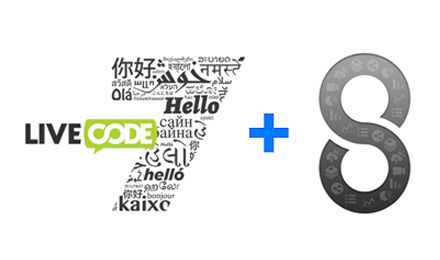 Material buttons are scripted components, so they work in LC7 and will be compatible with LC8 when released.